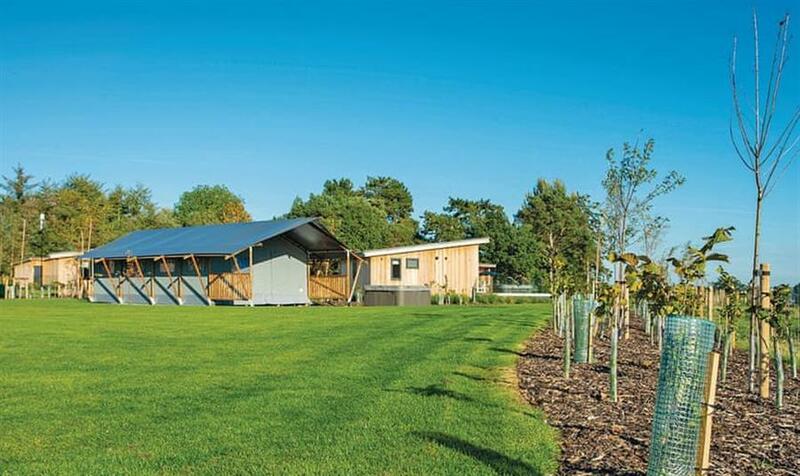 Plassey Leisure Park in Eyton sleeps 6 people, with the accommodation being lodges and safari ten. An idyllic holiday park set in the beautiful Snowdonia National Park in North Wales Plassey Leisure Park stands as one of the UK’s hidden holiday gems. 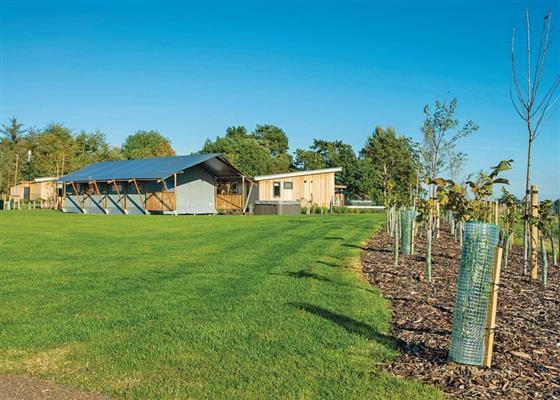 Plassey Leisure Park offers a range of high quality range of distinctive and contemporary one bedroomed modular builds. At Plassey Leisure Park you will find a wealth of facilities at your disposal, including a heated indoor swimming pool, mini mart, accessories shop, games room, fishing lakes, adventure playground and nature trail. The lodges at Plassey Leisure Park also have a private outdoor hot tub. If you want to find out what other people have said about Plassey Leisure Park, read the reviews on Plassey Leisure Park for more information. And, for those last minute bargains, have a look at some of the special offers available at Plassey Leisure Park. Brand new for 2019. Modern lodge with one double and one with bunks. Shower. Additional sleeping for two in the lounge area. Open plan lounge/kitchen and dining area. Patio with garden furniture and outdoor hot tub. Brand new for 2019. Modern lodge with one double and one with bunks. Shower. Additional sleeping for two in the lounge area. Open plan lounge/kitchen and dining area. Patio with garden furniture and outdoor hot tub. Beautiful countryside views. No pets. Brand new for 2019. Safari tent with one double and one with bunks. Shower. Open plan lounge/kitchen and dining area. Patio with garden furniture and outdoor hot tub. Find out about Plassey Leisure Park, including prices and availability. There aren't currently any special offers at Plassey Leisure Park however, the special offers shown below are all on parks within 30 miles of Plassey Leisure Park - so you may find these useful. 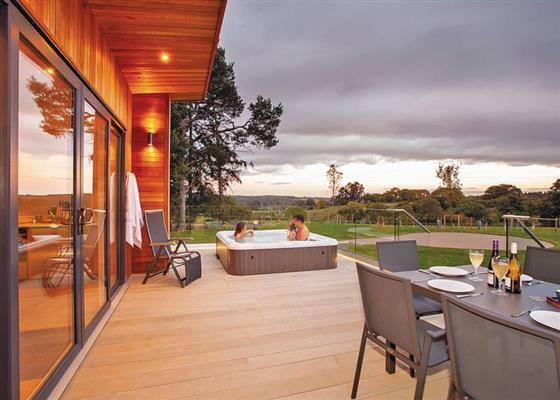 Holiday at Foxtail in Clwyd starting on Saturday 27 April 2019 for 7 nights. Holiday at Clover in Clwyd starting on Saturday 27 April 2019 for 7 nights. Holiday at Burnet 2 in Clwyd starting on Saturday 27 April 2019 for 7 nights. Holiday at Thistle in Clwyd starting on Saturday 27 April 2019 for 7 nights. Holiday at Presthaven Prestige 3 (Sat) in Clwyd starting on Saturday 27 April 2019 for 7 nights. Holiday at Dune 3 in Clwyd starting on Saturday 27 April 2019 for 7 nights. Holiday at Presthaven Deluxe 2 (Sat) in Clwyd starting on Saturday 04 May 2019 for 7 nights. Holiday at Presthaven Deluxe 3 (Sat) in Clwyd starting on Saturday 04 May 2019 for 7 nights. 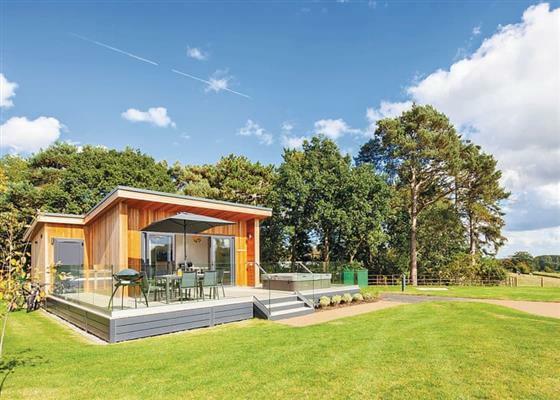 Holiday at Presthaven Prestige 2 (Sat) in Clwyd starting on Saturday 04 May 2019 for 7 nights. Holiday at Dune 3 in Clwyd starting on Saturday 04 May 2019 for 7 nights. Holiday at Dune 3 in Clwyd starting on Saturday 11 May 2019 for 7 nights. Holiday at Dune 3 in Clwyd starting on Saturday 18 May 2019 for 7 nights. There are 49 holiday parks within 10 miles of Plassey Leisure Park. Acanthus Cottage in Welshpool, Powys, and sleeps 4 people. 23 miles. Little Brampton in Clunbury, Shropshire. 40 miles. The Owl House in Welshpool, Powys, and sleeps 2 people. 29 miles. Oaklands in Dolgellau, Gwynedd. 40 miles. The Old Railway Tavern in Clun, Shropshire, and sleeps 6 people. 44 miles. The Barn Peep O Day in Chinley, Derbyshire. 49 miles. White Hopton House in Sarn, Bishops Castle, and sleeps 12 people. 35 miles. Treburvaugh House in Knighton, Powys, and sleeps 16 people. 47 miles. Bodlondeb Cottage in Clwyd, , and sleeps 4 people. 18 miles. The Moathouse in Caverswall, Staffordshire, and sleeps 12 people. 37 miles. Yarchester Barn in Much Wenlock, Shropshire. 31 miles. Glandwr Terrace in Blaenau ffestiniog, Gwynedd, and sleeps 3 people. 41 miles. Iola Cottage in Llandudno, Gwynedd. 43 miles. Waldeck in Chester, Cheshire. 19 miles. Plas Iwrwg Granary in Llanrwst, Gwynedd, and sleeps 2 people. 38 miles. The Manor House at Plas Meini in Llan Ffestiniog, Gwynedd. 41 miles. Filbrenik in Dudleston Heath, Shropshire, and sleeps 8 people. 5 miles. Cefn Colwyn Barn in Caersws, Powys, and sleeps 4 people. 40 miles. Crabapple Cottage in Oswestry, Shropshire, and sleeps 4 people. 14 miles. Craig Y Rhos in Machynlleth, Powys, and sleeps 6 people. 45 miles. Canalside Walks in Stone, Staffordshire, and sleeps 6 people. 34 miles. Brookbank Farm in Holmes Chapel, Cheshire, and sleeps 16 people. 31 miles. Yelt Cottage in Ashbourne, Derbyshire, and sleeps 2 people. 47 miles. Pen y Pigyn in Afonwen, Clwyd, and sleeps 3 people. 21 miles. The Cauldron in Blaenau Ffestiniog, Gwynedd, and sleeps 2 people. 41 miles. Smithy Farm in Frodsham, Cheshire, and sleeps 7 people. 18 miles. Hendre Barn Mawr in Abergynolwyn, Gwynedd, and sleeps 8 people. 49 miles. Garth Y Pistyll in Llangollen, Clwyd, and sleeps 6 people. 10 miles. The Town House in Bala, Gwynedd, and sleeps 8 people. 27 miles. Bailey Flatt Barn in Buxton, Derbyshire, and sleeps 7 people. 48 miles. Hirros Hall Longhouse in Welshpool, Powys, and sleeps 6 people. 30 miles. Brookway Lodge in Whitford, Flintshire, and sleeps 18 people. 24 miles. Troopers Barn in Church Stretton, Shropshire, and sleeps 12 people. 37 miles. The Water Tower in Leek, Staffordshire, and sleeps 11 people. 39 miles. Elleray in Chester, Cheshire, and sleeps 9 people. 14 miles. Criftin Farmhouse in Bishops Castle, Shropshire, and sleeps 8 people. 34 miles. Chorlton Moss Cottage in Newcastle-under-Lyme, Staffordshire, and sleeps 6 people. 28 miles. Plattin Inn in Buxton, Cheshire, and sleeps 4 people. 42 miles. Deildy in Bangor, North Wales, and sleeps 6 people. 49 miles. Roaches View Barn in Cheddleton, Staffordshire, and sleeps 6 people. 38 miles. Bedw Barn in Newtown, Powys, and sleeps 14 people. 36 miles. Craigllwyn Farmhouse in Oswestry, Shropshire, and sleeps 11 people. 13 miles. Far Hill Cottage in Trewern, Welshpool, and sleeps 5 people. 21 miles. Hersedd Barns in Mold, Clwyd, and sleeps 6 people. 18 miles. The Chapel House in Prestatyn, Clwyd, and sleeps 12 people. 26 miles. Fir Tree Lodge in Abergele, Denbighshire, and sleeps 4 people. 29 miles. Woodbine Cottage in Ludlow, Herefordshire. 49 miles. Rosehill Manor in Market Drayton, Shropshire, and sleeps 20 people. 21 miles. Riverside Cottage in Dolgarrog, Gwynedd, and sleeps 2 people. 38 miles. Seacot in Conwy, Wales, and sleeps 4 people. 44 miles. Bronawel in Oswestry, Shropshire, and sleeps 11 people. 15 miles. Morrells Wood Farm in Shrewsbury, Shropshire. 30 miles. Trederwen House in Welshpool, Powys, and sleeps 12 people. 20 miles. Sisial Y Llyn in Bala, Gwynedd, and sleeps 9 people. 27 miles. Shepherds Rest Cottage in Ludlow, Shropshire, and sleeps 6 people. 47 miles. Friary Cottage in Ludlow, Shropshire, and sleeps 6 people. 45 miles. Trinity Stables in Buxton, Derbyshire, and sleeps 8 people. 47 miles. Gorse Hill in Prestatyn, North Wales, and sleeps 12 people. 29 miles. Buttercups Haybarn in Whitchurch, Shropshire, and sleeps 10 people. 11 miles. Sandfield in Kings Gardens, Southport, and sleeps 12 people. 45 miles. Burrills View in Craven Arms, Shropshire, and sleeps 6 people. 37 miles. The Grange at Hencote in Shrewsbury, Shropshire, and sleeps 12 people. 20 miles. Castle View in Cronton, Liverpool, and sleeps 8 people. 28 miles. Compton Guest House in Buxton, Peak District National Park, and sleeps 21 people. 47 miles. Preswylfa in Ty'n-y-groes, Snowdonia National Park, and sleeps 10 people. 40 miles. Leaton Corner in Bomere Heath, Shropshire, and sleeps 4 people. 18 miles. The Moathouse in Caverswall Castle, Staffordshire, and sleeps 14 people. 37 miles. Wren Cottage in Prestatyn, Denbighshire, and sleeps 5 people. 26 miles. Manor Wood in Coddington, Cheshire, and sleeps 10 people. 9 miles.